General Market Coverage – An hourly rate is provided based on the makeup of your campaign. Hourly rates will range on average from $375-$600+ per hour. Events/Venues – Typically 1 – 3 hours of exposure are provided per client. 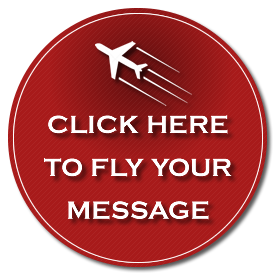 Rates will range on average from $500 – $3000 per flight depending on duration of flight, campaign size, demand and availability. Beaches – Massive audiences can be targeted for as little as $2800 per day or as low as $200 per flight depending on location. Give us a call to plan your next campaign. We would be happy to provide you with a custom proposal.